Julio was appointed by Missions Door in December, 2007 to open Bible training centers in local churches in Nogales, Mexico and coordinate extension classes for evening students and students in the federal prisons, all under the supervision of the seminary Director Ramon Rodriguez. In January 2010 Julio moved to Los Mochis, Sinaloa where he is pastoring a church and starting a new church in a rural community. Also, he is working with an extension program for the Nogales Baptist Seminary (SEBANO) in Empalme, Sonora. Julio was born in the rural environment of Sinaloa, Mexico, the sixth of twelve children. Julio worked hard to help support the family. He got a job in the city of Los Mochis, Sinaloa to pay for his schooling. By the end of 1992, a coworker invited Julio to a Bible study in a local Baptist church, and after attending he received Christ as his Savior. He quickly got involved in the work of the church. In August of 1994, Julio began his theological studies at the Baptist Seminary of Nogales, graduating in 1997. He started as a youth pastor in 1995 and served for seven years at New Jerusalem Church in Nogales. In 2003, he was called to serve as the Senior Pastor of New Life Church in Nogales, a church started by a Missions Door missionary. 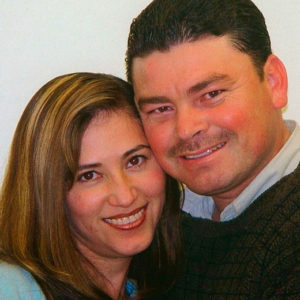 In December 2004 he married Marisol, who also graduated from the seminary. They presently have three children: Luis Carlos, Julio Cesar and Luis Angel.